Over the next week or so, while I am off on holidays, I will be posting archaeological or historical photos that I love for one reason or another. 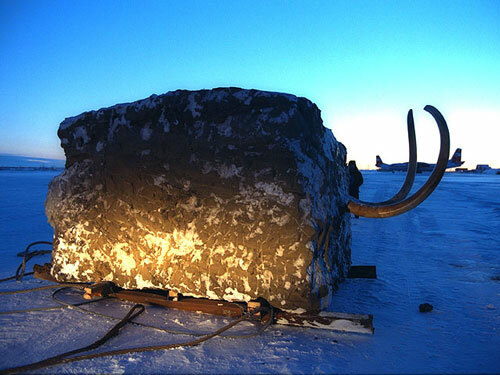 This photo of a frozen mammoth in an ice block was taken by Devi on December 31, 2008. The tusks weren’t actually sticking out like that. They were put in there to make it look cool and dramatic.